In the quest to modernize our homes over the decades, have we let some things of proven utility fall by the wayside? Popular with the 18th-century Dutch settlers of New York and New Jersey, so-called Dutch doors are split in the middle horizontally. In the old days, they provided the advantage of keeping out animals while letting in light and air. 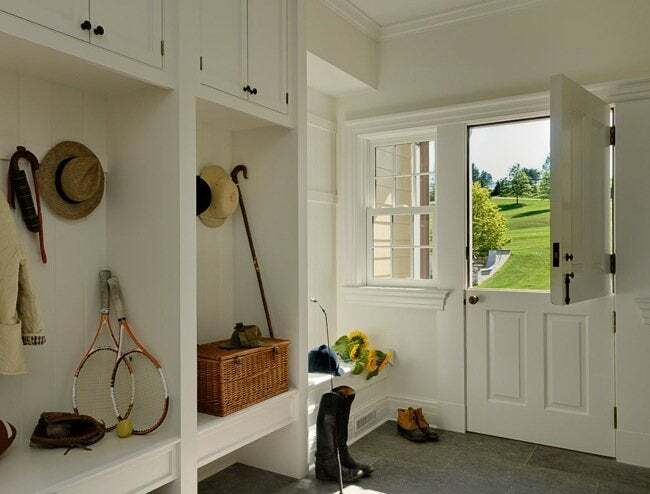 Today, Dutch doors are especially useful for homeowners with pets or kids, and though readily found in stores, making your own is straightforward. Saw any wood door in half, then attach each half to the door frame with two hinges apiece. A simple sliding bolt joins the top and bottom as a single, solid panel when you’re locking up for the night or a long weekend away. Way back when horse-drawn wagons were a common mode of transportation, there was a real necessity for a boot scraper at the front door. Horses, after all, leave their own special brand of… exhaust. Over time, as paved roads replaced dirt ones and tires replaced hooves, the boot scraper fell out of use. But let’s be honest: Who wouldn’t love an easy way to clear mud and snow off shoes before stepping indoors? 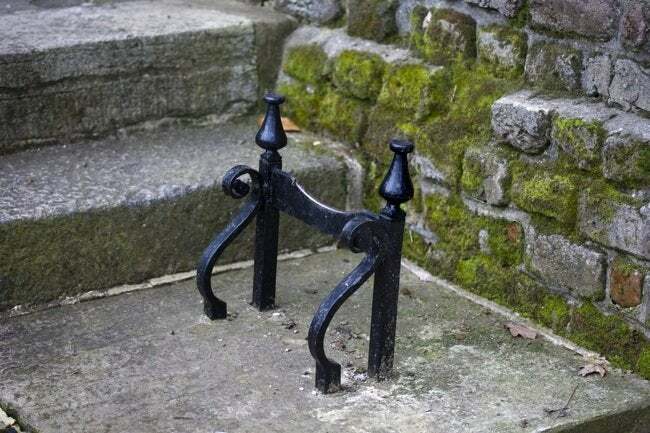 Originally, boot scrapers were cast iron bars set into masonry. You can still find the traditional style, but many of today’s wood, rubber, or plastic versions have been augmented with brushes to remove debris from all angles. 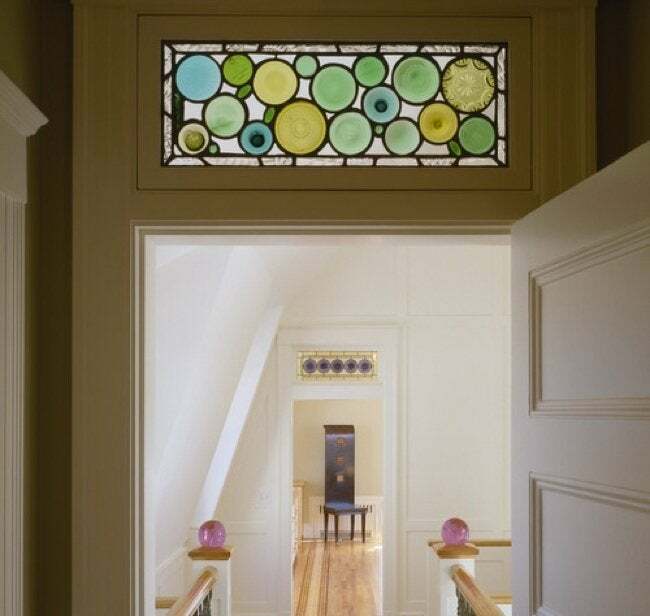 Transom windows are those panels of glass you see above doors in old homes, especially those built in the Mission or Arts and Crafts styles. Apart from being an attractive architectural detail, transoms served two practical purposes in their heyday. For one, they admitted natural light to interior rooms before the advent of electricity. In addition, they circulated air even when doors were closed for privacy reasons. Transoms do both of those things just as well today, and of course the beauty of glass is timeless. Is your bedroom two floors up from the washer and dryer? 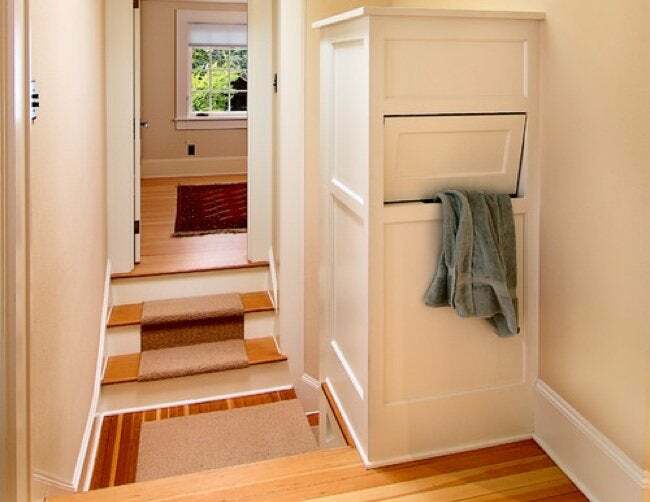 You might want to reprise another nearly forgotten old-home feature: the laundry chute. In its simplest form, this can be nothing more than a time-saving hole in the floor! To ensure that your clothes are funneled where they need to go, weld sheet metal together to create a ramp, or alternatively, use lengths of extra-large PVC pipe to form a tube that ends in your laundry room. No matter your chosen approach, adding a laundry chute injects a high level of low-tech convenience to your method of managing one of life’s never-ending chore. The idea of intercom systems probably reminds you of The Brady Bunch, but these 70s-born devices can be very useful, even if you don’t have six kids and a dog and an “Alice.” Many vintage intercoms were manufactured by NuTone, a company that not only remains in business, but continues to make standard-bearing intercoms. Just as in days of old, systems consist of a base station and several remote modules. And like their ancestors, the newest intercoms are capable of piping music throughout your home, only now it’s digital music rather than groovy FM radio. If you’d prefer to avoid any hardwiring your house, opt instead for a phone system with built-in intercom functionality.